There is a stretch of road in rural Norway with 24 homesteads… and 22 brewers. As if this weren’t stunning enough proof of the importance of artisanal beer in the county of Nord-Trøndelag, five small malthouses also line this same mile-long street. The sheer density of brewers on Hognesaunvegen (or Hognes Farm Road) in Stjørdal, as in the neighboring towns of Skjelstadmarka, Skatval and Hegra, is unparalleled in the Western World. Yet few people, even in Norway, know this. 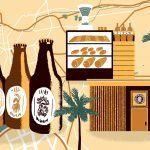 How can such a strong brewing tradition remain a mystery? Why is Stjørdalsøl unknown to connoisseurs? After all, there are more brewers of this style than there are Rauchbier brewers in Franconia. All is quiet in Stjørdal. In winter, the sun only shows for about five hours a day. Once in a while, aurora borealis will light up the sky—creating an eerily beautiful setting that’s difficult for beer travelers to access. There is one small commercial microbrewery in the area, Klostergården, snugly hidden among the ruins of a 13th century monastery on Tautra island in the Trondheim fjord. And there is one farmer, Morten Granås, who sells his rustic beer in plastic bottles at his farmstead. 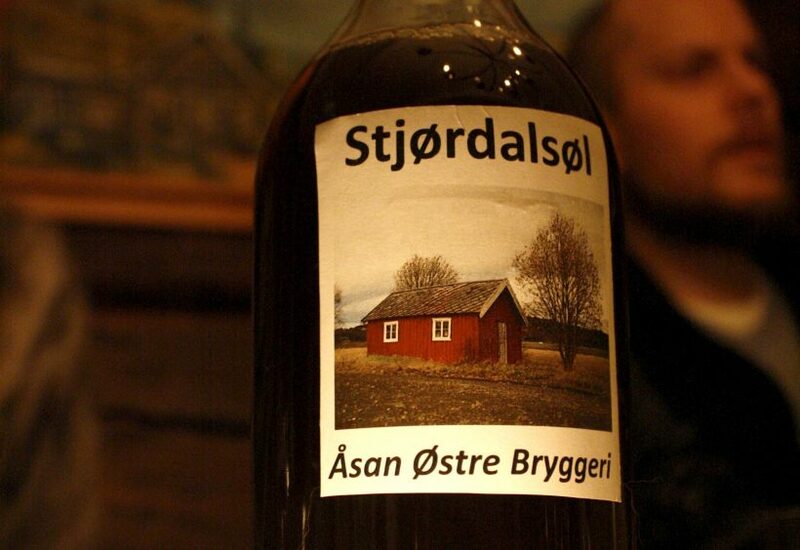 The two brew Stjørdalsøl; a beer made from home-malted barley smoked over alderwood. Both might seem to be a dying breed. With good timing, some luck, and generous acquaintances though, it’s possible to be treated to many more interpretations of this powerfully smoky brew. Indeed, a few weeks before Christmas time, something amazing happens. Other brewers in the Stjørdal area awaken. Not a dozen of them. Not a hundred of them. But close to 500 brewers slip out of their winter slumber to prepare a festive, once-a-year strong brew. Even the mayor and members of his party trade politics for zymurgy, holding an informal competition to crown the best Stjørdalsøl brewer. Last year, the mayor came in third. However, few people outside of these brewers’ immediate families and friends ever encounter the rich smokiness of this traditional brew. Rarely does anyone invite strangers to personal celebrations like Christmas gatherings, weddings and funerals—places where Stjørdalsøl is usually served. So even Norwegians are not really aware of this well-developed style. In fact, renowned breweries such as Nøgne Ø and Haandbryggeriet don’t have one in their vast portfolios. Perhaps this is also because Stjørdalsøl—like Gose in Germany—nearly disappeared in the 1950s. Indeed, only a handful of small malthouses were still in operation in the area after WWII had ravaged the country. But through word of mouth, from neighbor to neighbor, and grandfather to grandson, the number of malthouses now has grown tenfold—mostly since the 1980s. And the number of brewers wanting to join holiday tasting groups also continues to increase healthily. Moose hunting season ends October 31 in this part of the world. A mundane detail for the outsider looking in, but revealing once you understand the brewing culture in Stjørdal. Beginning in mid- to late November, brewers join groups that share a common malthouse (såinnhus) and brewhouse. These groups, called såinnhuslag, operate like hunting teams. They pony up the cash for equipment and cooperate on some material necessities: gathering barley, setting up mash tuns and carving wooden planks for malting. Svein Nygård’s farm in Skjelstadmarka is a great example. A few feet from his team’s brewery and malthouse—a building with a sign that reads “øl,” Norwegian for “beer”—he and his buddies have built an even bigger structure. There, they use large iron hooks and wide tables to butcher the latest moose they’ve caught. A proper setting for one to imagine how this burly man got the gruesome injuries he proudly shows off. And just like a hunting group shares the spoils of a successful hunt but can’t legally sell its bounty, a såinnhuslag cannot sell its beers. 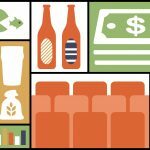 Instead, they get together for tastings, conversations and more tastings, where they share their respective beers, which often approach 7 or 8 percent alcohol by volume. Norway’s alcohol monopoly, Vinmonopolet, maintains a near stranglehold on all bottled alcoholic beverages over 4.7 percent ABV, forcing Stjørdalsøl brewers—all 500 of them—to keep their strong, smoky brews to themselves. 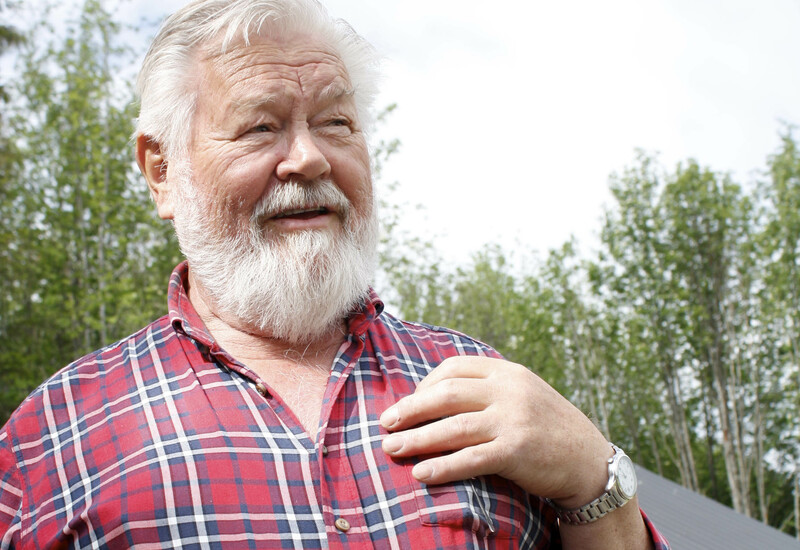 Morten Granås, a renowned brewer in the town of Hegra, is the only person allowed to sell plastic bottles of his traditional brew at his farm because he keeps the ale right at the 4.7 percent mark and received an alcohol sale grant from the local county. Oddly enough, even though a spirit of cooperation pervades the Stjørdal brewing culture, brewers within the same såinnhuslag do not poke their nose in their partners’ brewing business. Most malt their grain with a personal recipe (always involving smoking over alderwood) and most also follow their own brewing protocols. In other words, it’s next to impossible to associate a particular beer with a given såinnhuslag since all members of a brewing cooperative will have brewed their own slightly different version of Stjørdalsøl. Morten Granås is one of the better known brewers in the area. A traditional brewer in Stjørdal works harder than the average homebrewer to bring his brew to lip-smacking fruition. 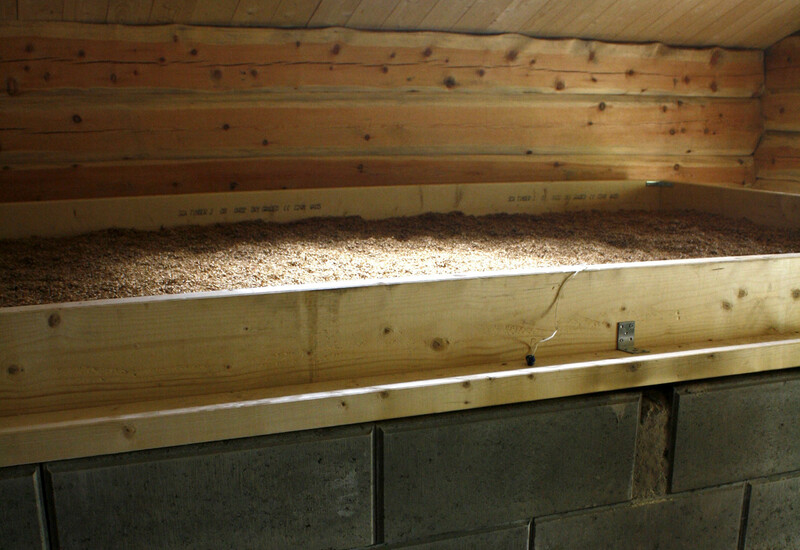 As is customary, he malts his barley in a malthouse not much bigger than the sheds most people have in their backyard. If left unattended for too long however, the old-fashioned drying or kilning procedure can spell disaster. Morten Granås usually calls the local fire station before he starts smoking his grain. He knows the towers of dark smoke rising from his personal malthouse could scare passersby. While some might want to accuse Granås of being too cautious, plenty of others can tell horror stories that painfully describe what can happen when the kilning process literally takes on a life of its own. Trond Olav Beitland’s farm, up high on a rocky peak not far from Hegra, has almost fallen prey to malthouse flames. Beitland’s first såinnhus had been built too close to his other farm buildings, and one day the roaring fire under the malthouse’s pierced wooden planks got a little too enterprising while no one was watching. Even the winter cold could not stop it from ravaging the malthouse, scaring the Beitland family for good. So the new malthouse—no such fire would permanently stop them from brewing, obviously—would be downhill and a couple hundred feet from anything else. So why are so many men in Stjørdal willing to take such a risk to partake in this brewing tradition? Mostly because Stjørdalsøl is an integral part of a family’s most important celebrations. The rest of the year, few take the time to brew a batch of alder-smoked beer. They’re busy working as farmers, engineers, lab researchers and salesmen. The holiday ritual of brewing Stjørdalsøl, or Maltøl (some simply call it “beer made from malt”), is as customary in this small region as a Thanksgiving turkey is in the US. In fact, brewing for Christmas was legally required one thousand years ago. Today, once the kegs have been emptied, the malthouse and brewery are cleaned and will wait patiently for the next special occasion. What Does Stjørdalsøl Taste Like? The dominant ingredient is the local barley malt smoked with alderwood. Distinct and powerful, the smoke character of this malt is quite different from beechwood, cherrywood and peat-smoked malts. Pay attention to the aroma in Alaskan Smoked Porter the next time you have some to get an idea of what alderwood smoke contributes. It is one of the only beers in America brewed with such malts. Then amplify the character as if the ale were brewed with at least 50 percent alder-smoked malts; the rest of a Stjørdalsøl’s grain bill is usually base malts, and perhaps a touch of sugar. The mash, sometimes decocted, is often conducted in a wood-fired metal kettle that helps with caramelization. Using juniper branches (without the berries) as a false bottom in most mash tuns also imparts character, much like softly earthy bittering hops in many North American beers. Hops are sparsely used in Stjørdalsøl, so varieties from Saaz to Cascade can be chosen nearly interchangeably, usually at the beginning of the hour-long boil. Finally, bread yeast, or any clean, fruit-bearing yeast (like London Ale III), gives the rich residual sugars jam-like connotations, transforming the initial Rauchbier similarities into an ale unlike anything else in the beer world. Add to that the fact that carbonation is as low as the average British ale served from a gravity cask, and that the alcohol by volume plays within the 7 to 9 percent range, and you’ve got one flavorful mahogany-hued style. Like windflowers that bloom once a year, many brewers in Nord-Trøndelag county disappear as soon as the season is finished, only to reemerge a year later. But a new brewers guild set in Stjørdal proper aims to buck the trend. Before the traditional brew dries up in the depths of abandoned wooden barrels, the Stjørdal Hjemmebryggerlaug, or Homebrewers’ Association of Stjørdal, will attempt to create opportunities for brewers to meet and exchange ideas about how to help their historic custom gain traction. Perhaps with the efforts of people like Norwegian author and researcher Lars Marius Garshol and beer sommelier Amund Polden Arnesen, or with the help of an entrepreneur with a keen nose for business, Stjørdalsøl can enjoy a spring revival. After all, there are more smoked beer brewers here around Christmas than year-round Kerstbier brewers in Belgium. But the reclusive Norwegians will have to become more outgoing to kindle interest in their warming brew. If no one talks about it beyond their closed circle, this centuries-old beer will remain frozen in the dark of the 63rd parallel.